Recent review: fantastic family and incredibly talented. Accomodating and personalized music experience. Arriving on the music scene in the late 19th century, Mariachi Bands brought an upbeat yet traditional sound to Mexican culture. With a blend of guitars, violins, trumpets, the guitarron, and the vihuela, Mariachi music can truly liven up a party! The upbeat authentic Mexican folk music is the perfect accompaniment for wedding receptions, Cinco de Mayo parties, and so much more. 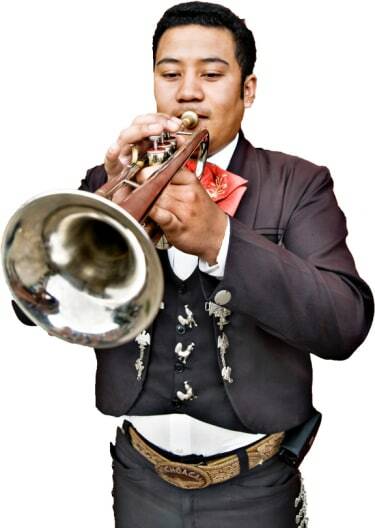 Search for Mariachi Bands in Waukegan, Illinois above. Please note that these Mariachi Bands may also travel to Park City, Beach Park, Great Lakes, Lake Bluff, Wadsworth, Gages Lake, Winthrop Harbor, Old Mill Creek, Mettawa, Russell, Lindenhurst, Fort Sheridan, Highwood, Hainesville, Indian Creek, Lake Villa, Round Lake Park, Bannockburn, Lincolnshire, Round Lake, Riverwoods, Hawthorn Woods, Long Grove, Forest Lake, Benet Lake, Antioch, Bristol, Woodworth, Ingleside, and Wauconda.